What's a ripe old age for U.S. coins? This half dollar is at least 175! Almost none survive in Fine condition like these Capped Bust Half Dollars. 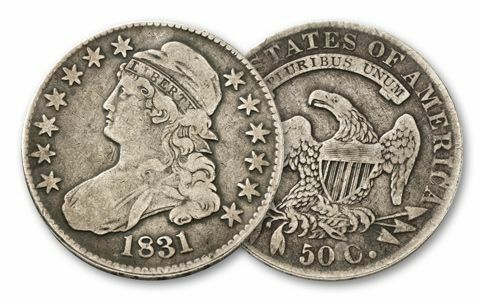 They feature a bust of Miss Liberty and a shield-chested reverse eagle with his wings spread, holding an olive branch and a bundle of arrows. 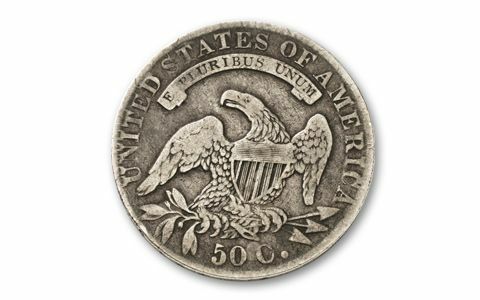 A real classic U.S. type coin in collectible grade showing lots of detail. 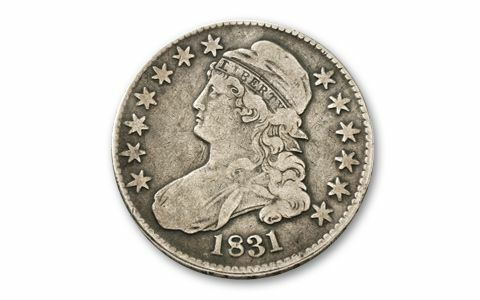 Struck in 90% silver between 1809 and 1836. Dates vary.